Are you a lubricant/coolant manufacturer or distributor with an interest in an easy and cost effective way to offer neutral cleaners? Are you looking to supplement your existing line of traditional alkaline cleaners with safer and “greener” cleaning alternatives? Then ESS neutral Super Concentrates may be for you! ESS Super Concentrates allow manufacturers to offer ready to use pre-formulated neutral products made through simple dilution. ESS Super Concentrates give companies with even limited manufacturing capability the ability to easily offer neutral products that have a proven track record. Once diluted to the desired concentration, the neutral products can be private-labeled and offered for sale. 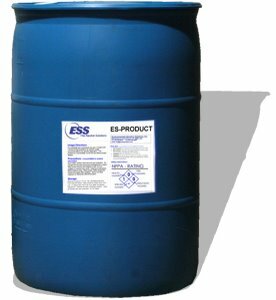 If you already offer lubricants, coolants and alkaline cleaners to the metalworking industry and wish to expand the product line to offer neutral cleaners, then ESS Super Concentrates are a great, affordable option! Please call (262) 238-5576 between 8:00 am and 5:00 pm CST Monday through Friday for more information. Additional rules, regulations, and restrictions apply.